• He worked as a farmer. • He appeared on the census in 1860 in Leeds, Androscoggin County, Maine. He was head of household. His real estate was valued at $2,000 and his personal estate at $575. • He appeared on the census in 1870 in Leeds, Androscoggin County, Maine. He was head of household. His real estate was valued at $1,200 and his personal estate at $500. • He worked for Oliver Ames, of shovel fame, whose plant was on the Taunton River in Massachusetts. • He had a residence in Massachusetts. 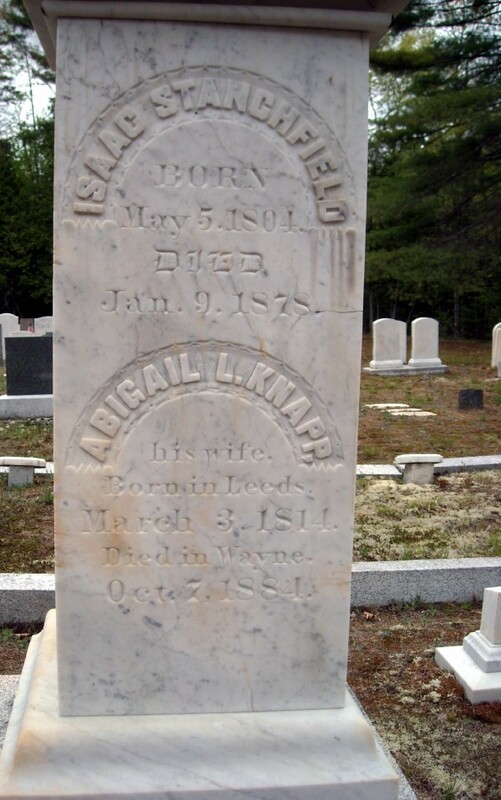 • He was buried at Lakeshore Cemetery in Wayne, Kennebec County, Maine.